Thanksgiving is right around the corner, so now is the perfect time to start thinking about your holiday feast. But more often than not, the task can seem daunting. That’s why we asked a few of our members to share their best recipes, from side dishes to dessert. 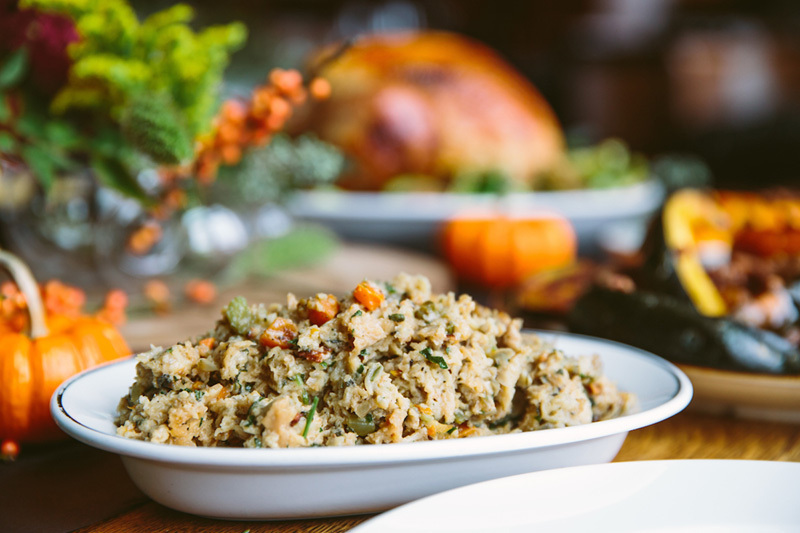 So whether you’re looking to (literally) spice things up this year or you’re hosting your first Thanksgiving and aren’t exactly sure where to start, rest assured that you’ll impress all of your guests with these tasty recipes. Find all of the recipes here. Saranello's in Wheeling (601 N. Milwaukee Ave.) features the best of Italy using fresh, flavorful ingredients for pasta, pizza, steak and fish dishes, and more, and they’re here to mix up your stuffing routine with this recipe featuring spicy Italian sausage combined with carrots, celery, onions, and focaccia. Your guests will be clamoring for seconds. This vegetarian-friendly dish from Di Pescara (2124 Northbrook Court, Northbrook) delivers both in terms of ease and tastiness (two musts on Thanksgiving). 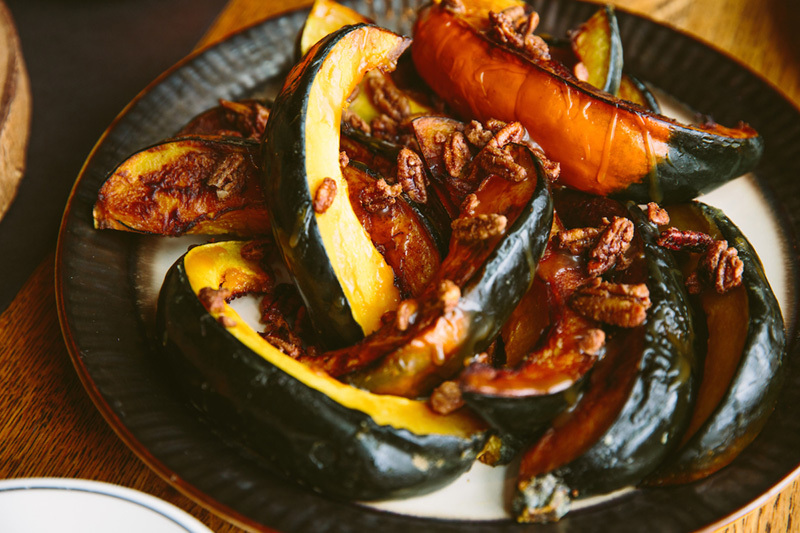 Simply cut acorn squash into four pieces, drizzle with melted butter, sprinkle with brown sugar, bake, and garnish with candied pecans. Voila! A tasty side dish in no time. And if you can't get enough, discover what else this seafood and steak restaurant is serving up at Northbrook Court, including Almond-Crusted Whitefish, Miso Glazed Chilean Sea Bass, and Pepper Crusted Bone In Ribeye. 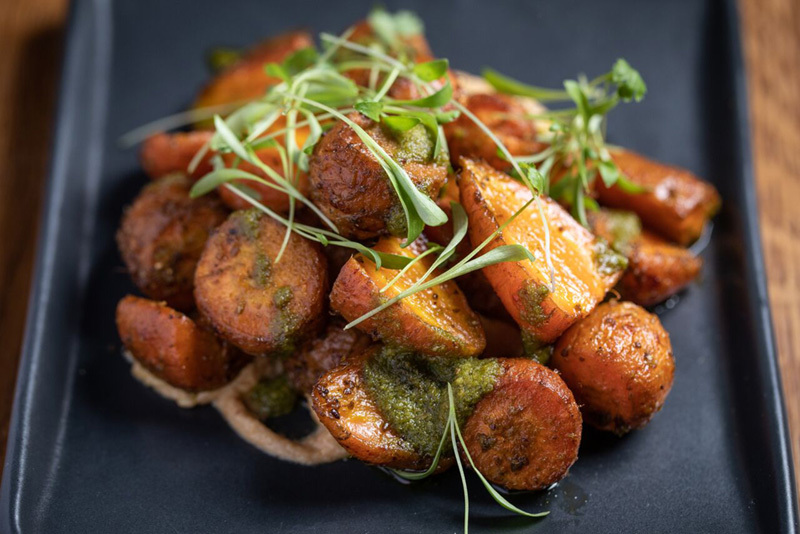 Make carrots a little more exciting with this recipe from Found (1631 Chicago Ave., Evanston), a "shared plate restaurant and bar" that's a perfect spot for cozying up with that special someone or catching up with friends. For this recipe, you'll create a marinade for the carrots featuring cumin seed and coriander seed, then roast the carrots and top with green harissa and serve with cashew butter. It might be called “Turkey Day,” but it never hurts to offer guests a different main dish in case they aren’t big on this bird. 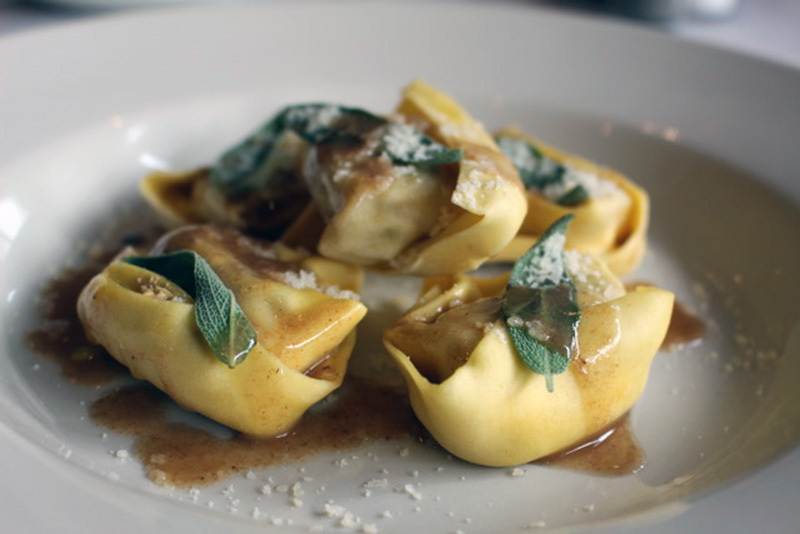 If you’re looking for a little variety in the middle of your Thanksgiving table, try this recipe for roasted butternut squash-filled pasta with brown butter-sage sauce and shaved parmigiano. You can trust any Italian recipe that comes from Francesca's North (1145 Church St., Northbrook), where you can stop by for a dinner of Bruschette alla Romana to start and entrees like Gnocchi alla Bavosa (potato-flour dumplings with tomato basil sauce, melted mozzarella, olive oil, and parmesan), Schiacciata alla Toscana (pizza with garlic, oregano, arugula, lemon, olive oil, shaved parmesan, truffle oil, and mozzarella and fontina cheeses), and Pollo Arrosto alla Romana (roasted half chicken with garlic, shallots, rosemary, lemon, olive oil, and roasted potatoes). While turkey may be the star of Thanksgiving, dessert is the best part, so make sure everyone gathered at your table can partake. This cake from Sweet Ali's Gluten Free Bakery (1107 Waukegan Road, Glenview) uses the bakery's gluten-free yellow cake mix and gluten-free vanilla instant pudding with a sweet mixture of sugar, cinnamon, and chopped pecans (unless you'd like to make this nut-free as well). 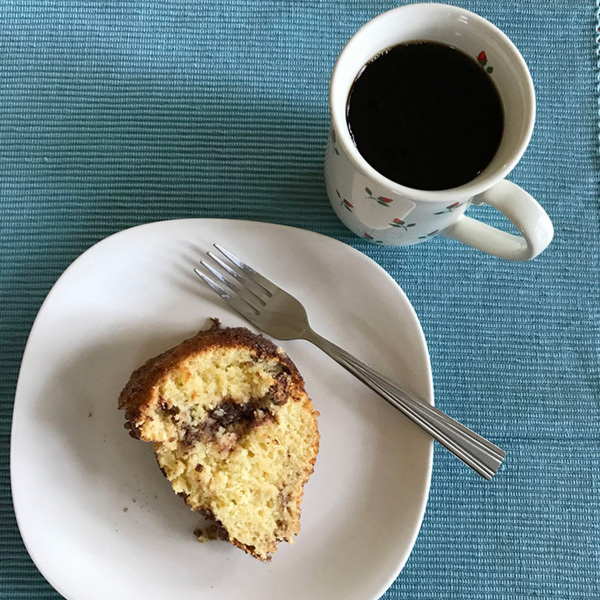 And if you need more gluten-free treats to serve throughout the weekend, visit Sweet Ali's for cookies, cupcakes, and pies, or even breads, muffins, and coffee cakes for breakfast. 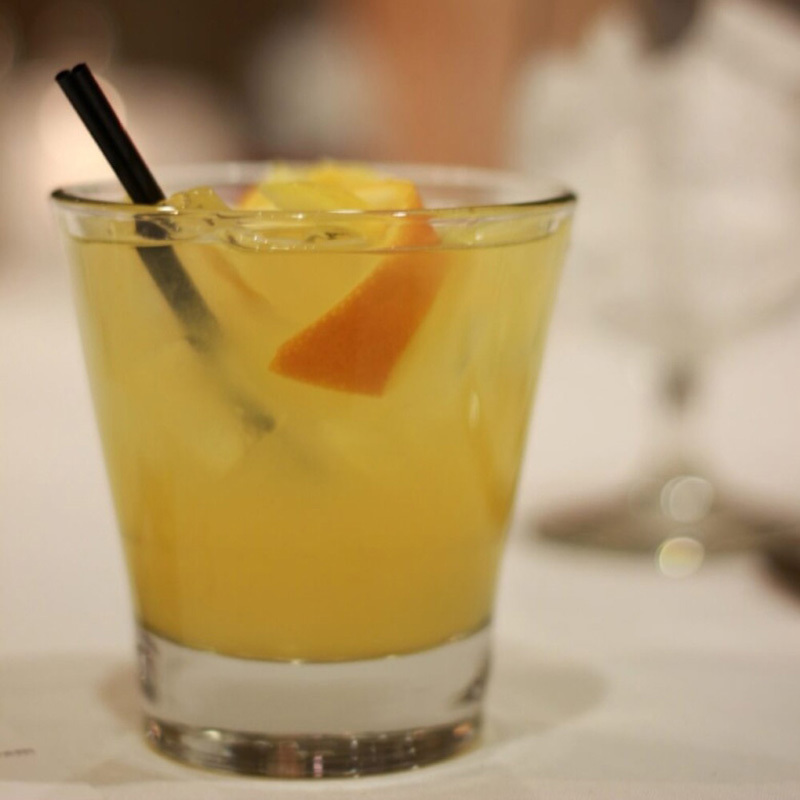 Cap off the night with this cocktail from Pinstripes (1150 Willow Road, Northbrook) that combines Stoli Peach vodka with mango juice, sour, and a splash of champagne, garnished with a twist of orange and/or lemon. Looking for a fun way to entertain guests (and work off this Thanksgiving meal)? Plan a visit to Pinstripes for bowling and bocce, plus more delicious food both adults and kids will love. Find all of the recipes including a printable version here. This entry was posted in Dining, and tagged Chicago North Shore Restaurants, Chicago North Shore, Chicago's North Shore, Cooking, Downtown Evanston, Evanston Restaurants, Evanston, Glenview, Gluten-free, Illinois, North Shore Chicago, North Shore Restaurants, North Shore, Northbrook, Wheeling, on November 6, 2018.